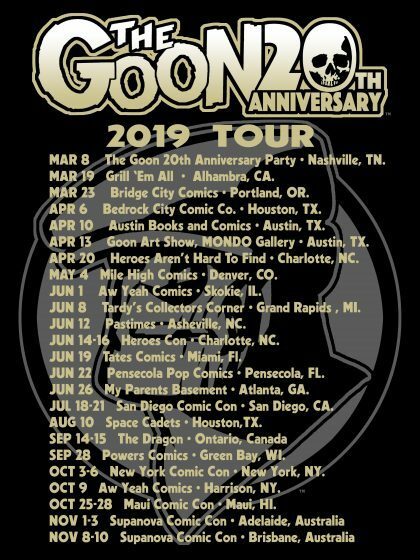 The GOON Celebrates 20 Years! Heroes is thrilled to host Writer/Artist/Publisher Eric Powell during his 23-city international tour featuring the relaunch of his creator-owned title, The Goon! Eric will be bringing THE GOON TOUR to Heroes on Saturday, April 20th!! Times to be announced SOON!! HEROESCON 2013 :: INCENTIVE PRINT REVEALED! HeroesCon 2013 starts exactly 1 week from now! 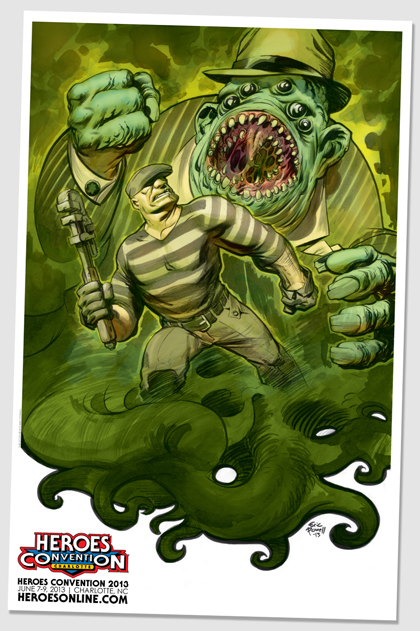 Everyone that orders Advance 3-day passes this year receives an exclusive signed and numbered print featuring The Goon by Eric Powell! Don’t forget, kids 12 & under are free and we will have something special for them as well (in limited quantities! ).